The move increases ChannelGrabber’s global reach beyond its United Kingdom and European base while extending the company’s technological leadership by introducing the market’s first true one-click omnichannel listings capability for retailers. We’re thrilled to expand our operations and bring what is unquestionably the most comprehensive, feature-rich and most powerful omnichannel eCommerce platform to US retailers. ChannelGrabber, the leading provider of omnichannel eCommerce software, today announced the opening of its New York office in Brooklyn Heights, the expansion of its international operations and the release of groundbreaking new product features. The move increases ChannelGrabber’s global reach beyond its United Kingdom and European base while extending the company’s technological leadership by introducing the market’s first true one-click omnichannel listings capability for retailers. When selling their goods through multiple sales channels including web stores and marketplaces like Amazon, eBay, and Etsy, retailers routinely struggle to manage the complex and time-consuming tasks associated with listing items, managing inventory, processing orders, billing, shipping and customer communication. ChannelGrabber allows online retailers to handle these tasks in one place saving time, increasing productivity and maximizing sales. 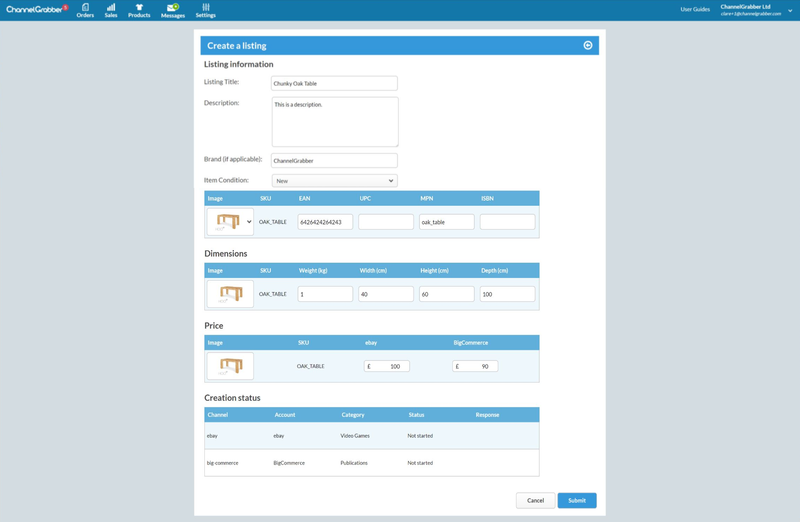 The latest release of ChannelGrabber enables retailers to overcome their greatest challenge by creating their product catalog and listing any product anywhere and everywhere with a single click. ChannelGrabber’s latest release is available to customers in the United States immediately through the company’s website. 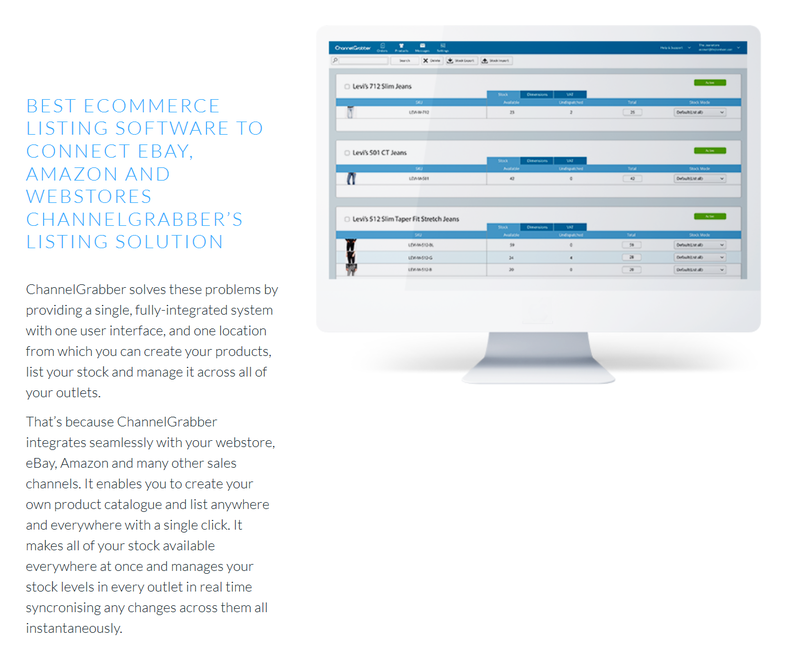 ChannelGrabber builds intuitive, easy-to-use eCommerce software that helps retailers sell more, through any channel, delight their customers and conquer administration. Their omnichannel eCommerce platform facilitates the integration of web stores and online marketplaces through a single user interface. Using ChannelGrabber's software enables merchants to manage listings, inventory, orders, billing, shipping and messaging all in one place saving time, increasing productivity and optimizing selling performance.